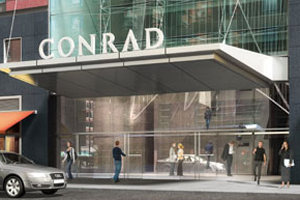 The Conrad New York is set to open in December in the US city's lower Manhattan area. The hotel will have 463 suites with views of the Hudson River and 2,787sqm of event space. It will be near the World Financial Center, New York Stock Exchange, City Hall, Trinity Church, and the World Trade Center and Memorial.